Rapper Soulja Boy has been hit with a lawsuit from a Miami producer, who claims the rapper stole the track for his single “Swag Daddy.” Hip-Hop Frat House and Michael J. Garcia filed the lawsuit against Soulja Boy and his label S.O.D. Money Gang Entertainment Inc. The lawsuit, which was filed on September 14, claims that Hip-Hop Frat House and Garcia attempted to develop a relationship with Soulja Boy. 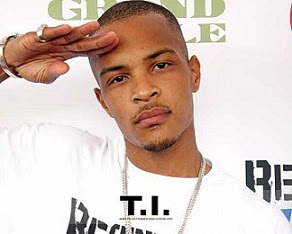 A representative for Hip-Hop Frat House submitted the copyrighted track “Racks,” which was produced by Michael J. Garcia, for Soulja Boy to consider. A copy of the song was submitted to Soulja Boy’s email address, Souljaboymp3@gmail.com. Despite attempts to follow-up, a representative for Hip-Hop Frat House received no reply from the rapper or his representatives. They were shocked when they heard Soulja Boy rapping over the track “Swag Daddy,” several months after submitting the musical composition. The lawsuit claims that Soulja Boy has created a new brand called “Swag Daddy,” based on the musical composition Hip-Hop Frat House and Garcia own. They are suing the rapper for damages and attorney fees, to be determined by a jury.